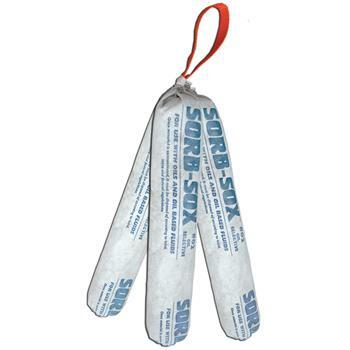 Spyder-Sox™ are made with three 18" oil-selective Sorb-Sox™ connected by a 1" orange webbing handle. 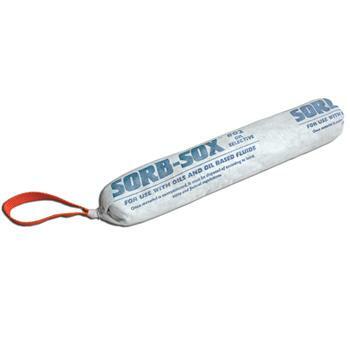 Use the convenient handle for retrieving the Sox. Works great as a filter on drains by capturing the oil and letting water through.